A PROVEN crowd-pleaser. Mind-blowing magic with an instantly hilarious prop. What are you waiting for? Take the plunge! A Tiny Plunger! This unsuspecting little prop becomes the feature of an amazing trick. The small plunger clings to a thought-of number of cards, finds a selection and lots more! Tiny Plunger is that rare prop that is at once funny, amazing and memorable. Best of all, the routine is within the range of the beginner. Tiny Plunger comes with 1 (ONE) Plunger. 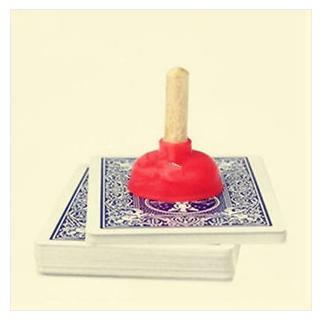 ● The GIMMICKED Tiny Plunger can do effects that you CANNOT do without this INCREDIBLE prop. 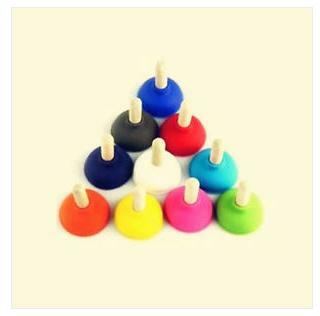 ● The GIMMICKED Tiny Plunger is specially-made by hand. ● The GIMMICKED Tiny Plunger does the work for you to create unique effects! 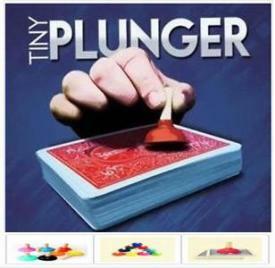 Take the plunge and perform Tiny Plunger! NOTE: This product no longer includes the gimmicked plunger. 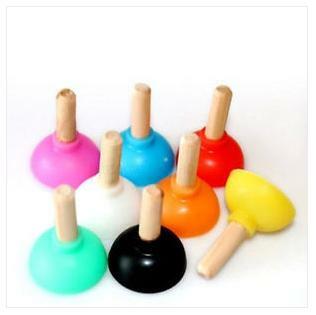 Non-gimmicked plungers come in a variety of colors and are random. This product was added to our catalog on Wednesday 20 January, 2015.